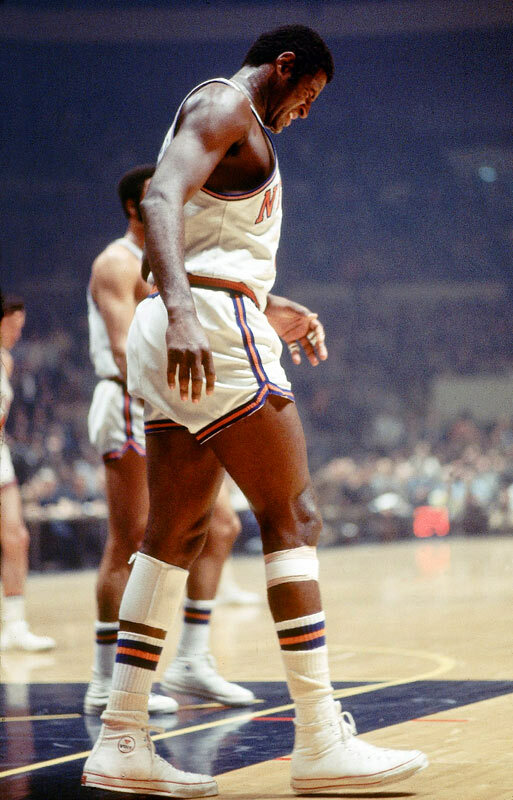 Willis Reed scored only four points in the seventh game of the 1970 NBA Finals, but his mere presence on the court helped lift the Knicks to a championship. The NBA Finals begin tonight, as the Miami Heat and the Dallas Mavericks battle it out for the Larry O’Brien trophy. With that in mind, it’s time to take a look back at the 20 greatest NBA Finals of all time. These are the 20 best series, not best moments, so moments like Magic Johnson’s “junior, junior” sky-hook are not on this list. To get on this list, the series had to feature multiple close games or more than one classic moment or performance. The latest edition of the Lakers-Celtics rivalry was another seven-game series as the Lakers avenged their loss to Boston in the 2008 Finals, with a win over the Celtics in 2010. Five of the seven games were decided by single digits and featured Ray Allen’s record-breaking performance in Game 2 with eight three pointers. Game 7 was low-scoring but memorable as the Lakers overcame a 13-point deficit in the fourth quarter, to pull out an 83-79 win. 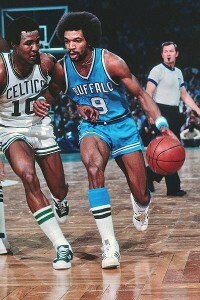 The home court advantage was worthless in this series as the road team won five of the seven games in these Finals between the Boston Celtics and the Milwaukee Bucks. The series also featured a pair of overtime games, including the famous Game 6 double overtime win by the Bucks on Kareem Abdul-Jabaar’s 17-foot sky hook in the second overtime for a 102-101 win in Boston Garden. Game 7 went to the road team, which was the Celtics, as they defeated Milwaukee 102-87 win, for the franchise’s 12th NBA championship and first without Bill Russell. The St. Louis Hawks got revenge for their loss in the 1957 Finals, as they defeated the Celtics in six games, with all four of the Hawks’ wins by a combined eight points. The most memorable moment from this series came in the clinching sixth game, as Hawks forward Bob Pettit poured in 50 points, including 18 of the last 21 points in St. Louis 108-107 win. No team in NBA history has ever won a best-of-seven series after falling behind 0-3, but the 1951 New York Knicks came very close. 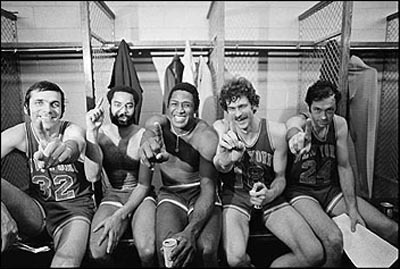 After losing the first three games of the series, the Knicks won Games 4 through 6 to force a Game 7 against the Rochester Royals (now Sacramento Kings). 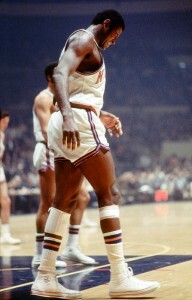 Game 7 was tied at 75-75 with almost a minute to play until Royals guard Bob Davies sank two free throws to break the tie as Rochester went on to win the game 79-75 and their only NBA title. The 1976 Finals is remembered most for the Game 5 triple overtime win by the Celtics over the Suns in perhaps the greatest NBA Finals game of all time. But the series itself was pretty exciting as the heavy underdog Suns came back from a 0-2 deficit to win Games 3 and 4 in Phoenix to force the memorable fifth game.